The decision to incorporate your business is not always an easy one, though incorporation definitely has its advantages. If you have decided that incorporating is the right move for you, there are still some things you must consider so that you know exactly the best way to go about incorporating your business. Here are some things you must do before incorporating your business to ensure a smooth process and lay the groundwork for a profitable future. It is important to work out how you intend to fund your business in its initial stages before you incorporate. Will you and any co-founder’s fund the start-up yourselves? Or will you look for backing from investors? To raise money from investors, you will need to establish a company so that you can sell shares. 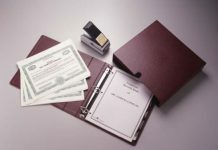 Before entering into the process of incorporating, it’s important to learn the legal implications of being a business owner so that you can take steps to protect yourself and your company. 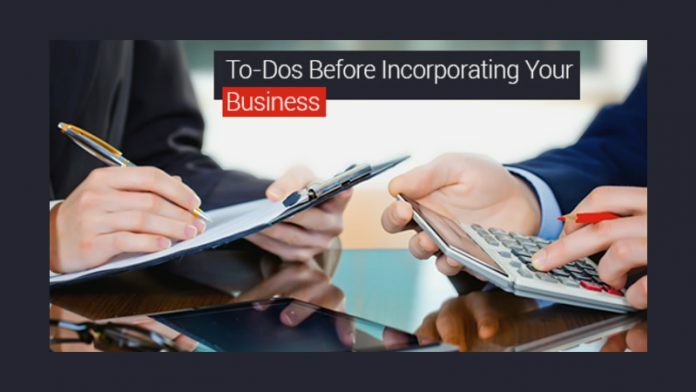 Being the head of an incorporated company brings with it a range of responsibilities–you’ll benefit greatly by educating yourself on what that will mean for you and your business. Furthermore, you should do research to establish the rules around incorporating a business in the municipality you desire. There are many helpful tips in our blog, but you may also want to consider consulting a lawyer. You need to decide if you want to incorporate a numbered or named business. Numbered incorporations are usually chosen when the business’s name will not be advertised or in a franchise situation where the business name is protected by the franchise provider. It is usually advisable to perform a search of available business names prior to ordering your NUANS report from Industry Canada. You will also need to choose a name that reflects your business and that is suitable for any necessary advertising. Once you’ve finished incorporating, you can establish an agreement with any co-founders to set guidelines of how you will operate with them within your business. Make sure you have a clear understanding and well-documented agreement as to how each co-founder will invest, what everybody’s duties and responsibilities are, and who is liable for what.